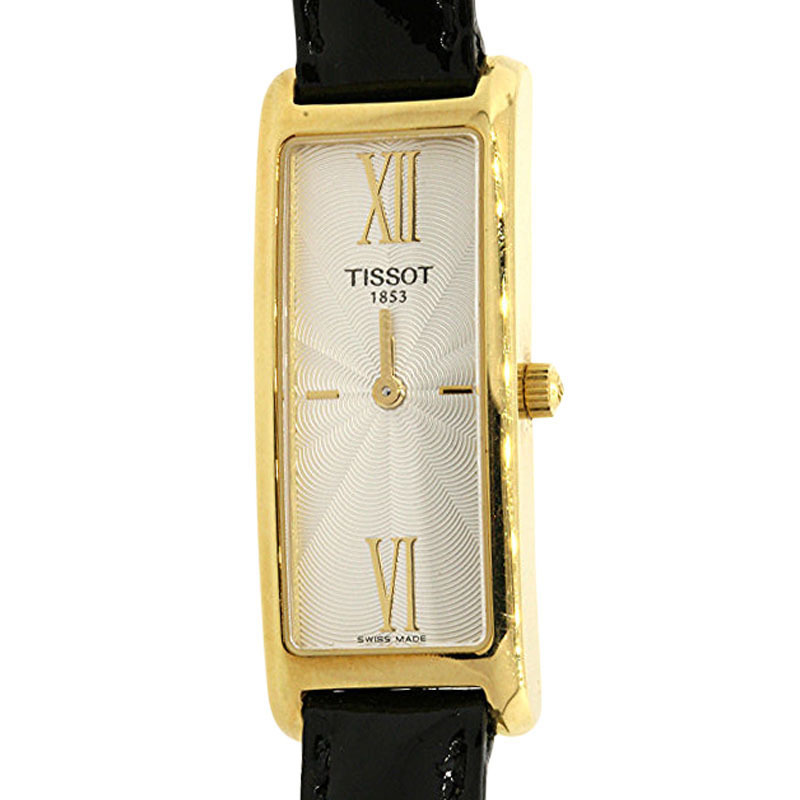 "Mathey Tissot 14K Gold Manual 27mm Womens Watch 1960"
"Mathey Tissot 14K Gold Manual 27mm Womens Watch 1960 Features: Brand: Mathey Tissot Gender: Womens Condition: Good Model: 14K Gold Dial: Gold Movement: Manual Case: 14K Yellow Gold Band: 14K Yellow Gold Year: 1960 -1970 Note: No Box or Papers"
"Tissot 14K Rose Gold / Leather Vintage 33.5mm Mens Watch"
"Tissot 14K Rose Gold / Leather Vintage 33.5mm Mens Watch Features: Brand: Tissot Gender: Mens Condition: Good Movement: Automatic Dial: Off White Case: 14K Rose Gold Bracelet: (Not Tissot) Aftermarket Leather Belt Year: 1970 Note: No Box or Papers"
"Tissot 14k Yellow Gold with Yellow Dial 33mm Mens Watch"
"Tissot 14k Yellow Gold with Yellow Dial 33mm Mens Watch Features: Brand: Tissot Gender: Mens Condition: Good Movement: Quartz Dial: Gold Liberty Coin Case: 14k Yellow Gold Bracelet: (Not Tissot) Aftermarket Leather Strap Warranty: 1-Year, No Box or Papers"
"Tissot 1853 Stainless Steel Quartz 33mm Mens Watch"
"Tissot 18K Yellow Gold / Leather Quartz 33mm Womens Watch"
"Tissot 18K Yellow Gold / Leather Quartz 33mm Womens Watch Features: Brand: Tissot Gender: Womens Condition: Good (Some Light Scratches on Cases) Movement: Quartz Dial: Gold Case: 18K Yellow Gold Bracelet: Leather Belt Note: No Box or Papers"
"Tissot 18K Yellow Gold Manual Vintage 34.5mm Mens Watch"
"Tissot 18K Yellow Gold Manual Vintage 34.5mm Mens Watch Features: Brand: Tissot Gender: Mens Condition: Good Movement: Manual Dial: Off White Case: 18K Yellow Gold Bracelet: New Leather Band Year: 1920-1970 Note: 1-Year, No Box or Papers"
"Tissot 18K Yellow Gold Rectangle Black Patent Leather Strap Womens"
"Tissot Actualis Stainless Steel / Leather Manual Vintage 26.5mm"
This luxury Tissot Automatic Iii Men's Timepiece features a Black dial with a 43 Millimeter Silver Tone Stainless Steel case. It is driven by a Automatic movement - water resistant to 330 Feet/100 Meters. 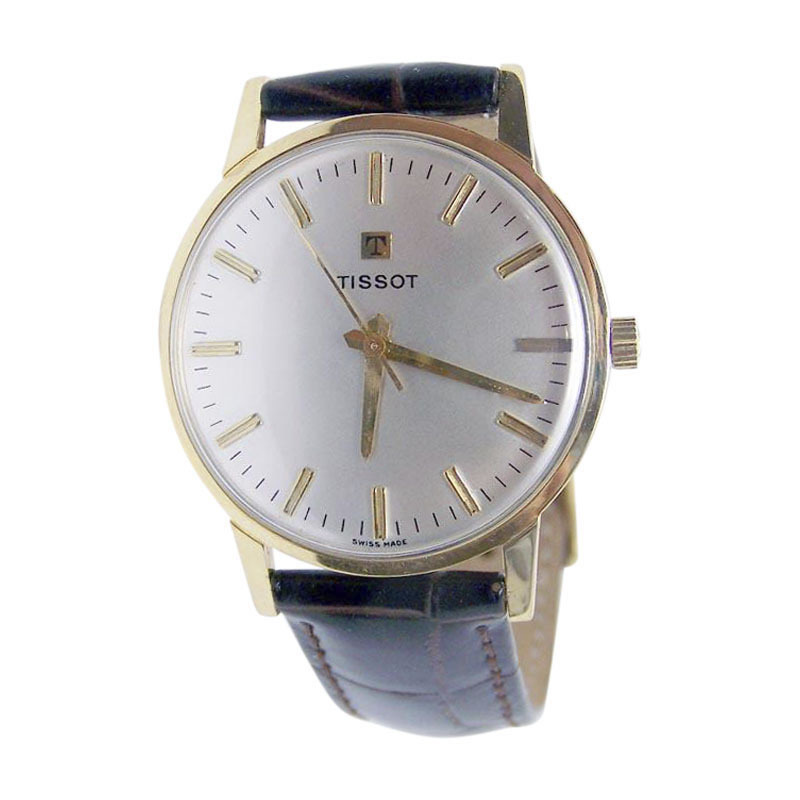 This luxury Tissot Automatic Iii Men's Timepiece features a Silver Tone dial with a 43 Millimeter Silver Tone Stainless Steel case. 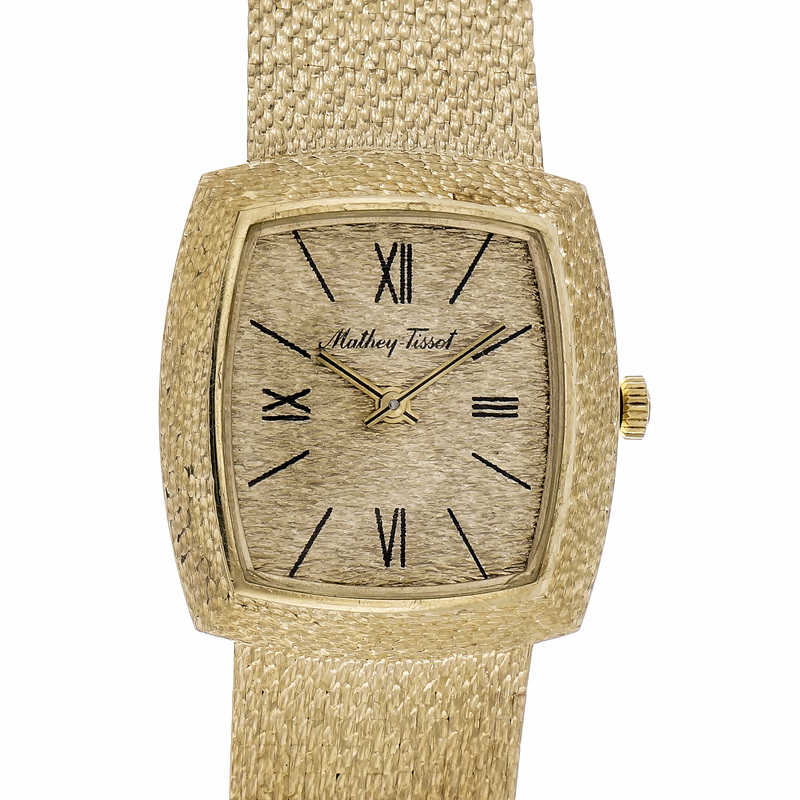 It is driven by a Automatic movement - water resistant to 100 Feet/30 Meters.